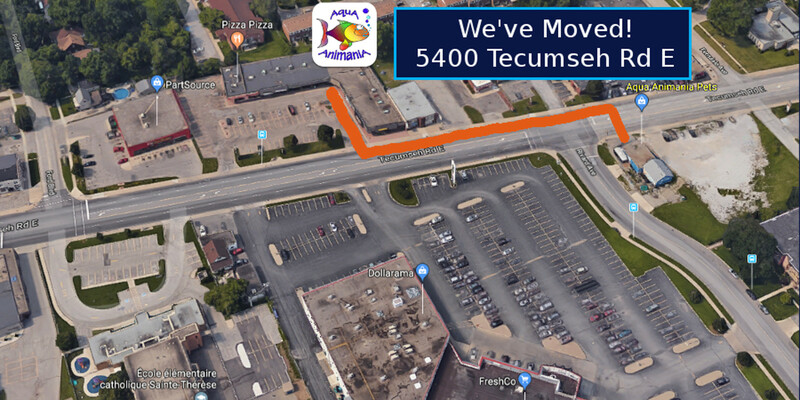 Team AquA is pleased to announce that we have moved to a new and larger location to serve your pet, pond, aquarium & fish needs much better! Please stop by our new store at 5400 Tecumseh Rd East (approx 100 metres west of our original location), say hi and take a look around. We look forward to seeing you and your pets very soon and would like to thank you for your ongoing patronage and support! Whether you are wanting to build a pond or maintain an existing one, Team AquA is happy to help you all along the way. We have access to thousands of pond supplies in stock and from our broad network of top industry suppliers, including those for tiny garden ponds and koi ponds all the way up to large fish ponds several acres in size! At AquA AnimaniA, you can expect friendly, expert advise and tips that you can trust along with a vast selection of tropical and marine fish, corals and plants. We stock a full line of fresh water and salt water aquarium kits and products of all shapes and sizes along with an endless selection of aquarium accessories and supplies!